For the last few decades, the Disney Channel has built a platform with shows aimed at tweens, a demographic that used to fall through the cracks when it came to television programming. Generations grew up with kids their own age going through the same things in the middle school years. Lizzie McGuire, Wizards of Waverly Place, That’s So Raven, and more showed kids that it didn’t matter if they were an average high school student, a wizard, or a psychic; there are some experiences universal to the tween and teen experience. One of those universal experiences is a crush or a first relationship. While modern Disney Channel shows have a larger focus on relationships than they used to, their inclusion isn’t brand new. Lizzie McGuire spent middle school crushing on Ethan Craft, only to realize her best friend might have been the one she really wanted to spend her time with long before Miley Stewart or Riley Matthews landed at the center of love triangles. Not every relationship on the Disney Channel sitcoms were the model of a perfect relationship. They certainly don’t all add to the stories in the shows either. In the more than two decades since the programming has amped up, there are bound to be a few missteps. That’s why we’ve rounded up some of the most popular pairings in the channel’s history to bring you 15 Couples That Hurt Disney Channel Shows (And 15 That Saved Them). When Miley Cyrus landed the title role of Hannah Montana, the Disney Channel had a megahit. Throughout the four seasons (and a movie) Miley had a lot of love interests. The final boy to try to win her heart was Jesse, a guitar player brought to the screen by Drew Roy. At first, Jesse was a breath of fresh air. A bad boy who wasn’t shocked to learn Miley and Hannah were one in the same, he got under her skin. Unfortunately, since he only appeared at the end of the series, he never felt like a fully fleshed out character. He also weighed the last few episodes down with his inability to handle Hannah’s success. Wizards of Waverly Place introduced more than just wizards in its run. Over the course of the show, creatures like vampires and werewolves also became big parts of the story. One of the vampires was Juliet. Juliet formed a relationship with Justin, despite her parents not trusting magic users. It provided the writers with a unique twist on the tragedy of Romeo and Juliet. The storyline also gave Justin something to do other than get his younger siblings out of trouble, so it was a win-win for all the characters involved. When the Boy Meets World sequel series premiered, it was built around Riley figuring out where she fit in her relationships. 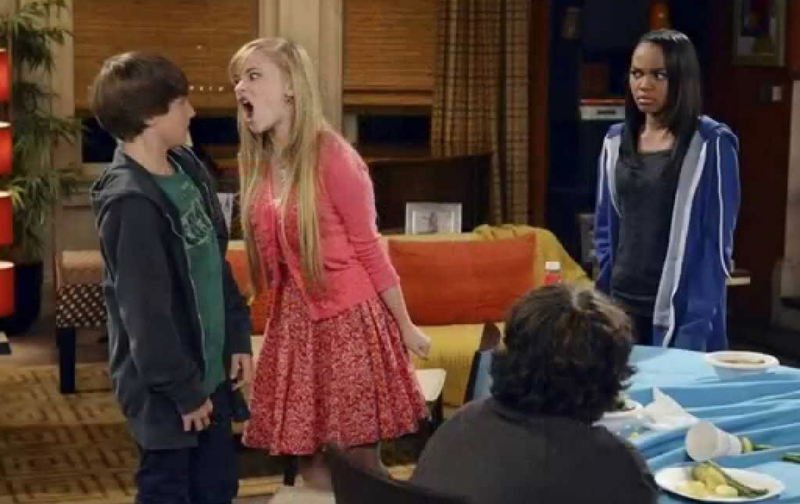 The friendship of Riley, Maya, Lucas, and Farkle was a great dynamic to watch. It, however, became harder to watch a show that wanted a young woman to figure out who she was based primarily on her experiences with her first boyfriend. Adding to the problem was that Riley focused on Lucas’ “perfections,” rather than understanding his flaws. It wasn’t until much later in the series, thanks to his interactions with other characters, that Lucas started to feel like a person instead of a cardboard cutout of what Riley wanted him to be. Cody spent much of the original Suite Life series playing second fiddle to his more outgoing brother. As the self professed nerd of the two, he always found it a little harder to get the girl compared to ladies man Zack. With Suite Life On Deck, that changed. 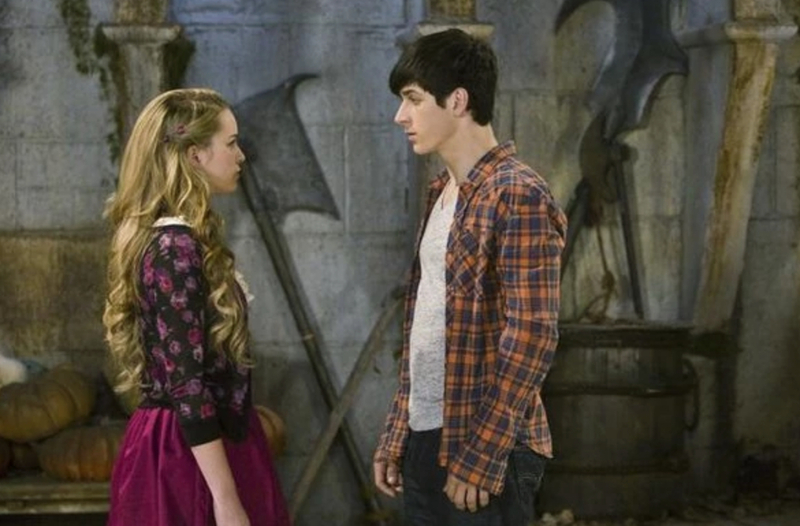 Through the school at sea program, Cody met Bailey in Debby Ryan’s Disney Channel debut. Bailey was sweet, pretty, and interested in just as many academic subjects as Cody. The two hit it off, eventually becoming a couple. They were a match made in heaven on the hijinks filled series. Though most Disney Channel couples exemplify first love, Arwin and Carrie are two of the few adult figures in a Disney sitcom. Mom to the titular twins in The Suite Life Of Zack And Cody, Carrie was divorced and making her living as a singer in the hotel. Arwin was the building handyman. It would be sweet to say these two bonded over hotel life and the twins’ antics, but… not so much. Arwin may have been a family friend, but he harbored a crush that bordered on obsession for Carrie. They shared a meal a few times, but it’s probably better that the feelings were one-sided here. Like The Suite Life’s Arwin before her, Macy’s obsession with a singer could have become creepy. Instead, J.O.N.A.S. saw her gradually understand the band she loved was made of real people that she became friends with. She didn’t keep them on an unattainable pedestal, and that friendship became more with one of them. Macy and Nick gradually got to one another over the course of the series, and then, they didn’t shy away from their feelings. Instead, the two teenagers had a frank discussion about their friendship before deciding to take the next step to a romantic relationship. It was a healthy storyline all around. When Cece and Logan met, they couldn’t stand one another. These two didn’t fall into the bickering friends trope that kids’ shows enjoy. Instead, they were outright horrible to one another. That’s why it was such a shock to see Shake It Up head 20 years into the future and hit fans with the fact that they were married. The idea that two people who actively tried to sabotage one another could end up together seems absurd. It’s a throwaway moment used for comedic relief. All it does is perpetuate the harmful stereotype that kids who are mean to one another secretly like each another. Unlike a lot of the Disney Channel’s most famous series, I Didn’t Do It didn’t center on a trio of friends. Instead, it focused on a group of five, two of whom were siblings. They frequently found themselves having to explain that something wasn’t their fault. Two of the accidental trouble-makers ended up becoming more than friends. When the series premiered, Jasmine was initially closer to Lindy. Thanks to a few school projects and agreeing to “fake date,” she become much better friends with Lindy’s twin brother Logan. The fake feelings between them blossomed into real feelings in a long running arc for the final season that added another layer to the interactions between the friend group. Fans know the pattern for a lot of the Disney Channel shows by now. With three central characters, it’s likely that at least two of them will form a romance. 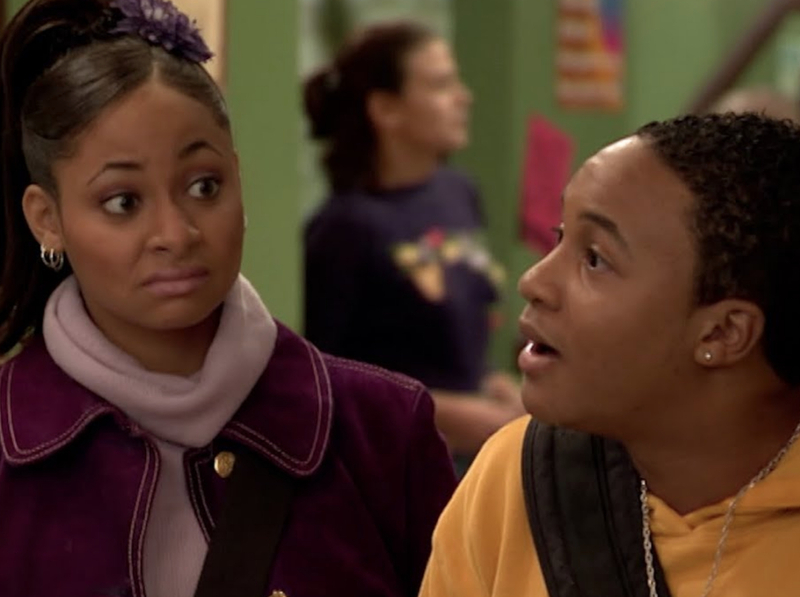 When That’s So Raven originally aired, that pattern hadn’t taken effect yet. Other than Raven briefly thinking her friends Eddie and Chelsea were dating, the show stayed away from romance amongst the core three - until one episode. Inexplicably, with no build up whatsoever, Raven and Eddie decided they were attracted to one another after a single dance. It created a lot of unnecessary conflict for a very small story arc. We have to wonder if the writers just weren’t sure what to do with their dynamic at that point. Before the live action Disney Channel movie, Kim Possible existed as an animated series. 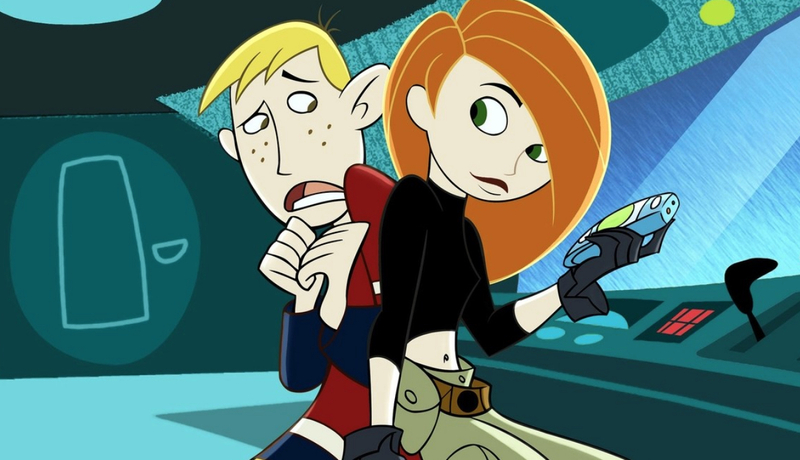 The series followed the adventures of high-schooler Kim Possible as she worked to save the world from villains all over the world. Kim was as cool as they came. An honor student, a cheerleader, and a superhero? The only person who could possibly be paired with her was someone who knew about her double life. Her best friend Ron Stoppable went from frequent victim to boyfriend by the end of the series. It was a role reversal for kids who grew up watching male heroes constantly save the lives of their love interests. If there’s one love story people seem to eat up, it’s the idea of the squeaky clean good girl falling for the bad boy. While Chad Dylan Cooper wasn’t the stereotypical bad boy, Sunny Munroe was certainly an optimistic good girl. The two were actors on rival television series in Sonny With A Chance, but there were certainly sparks between them. Chad treated everyone with contempt - except for Sonny. He had no problem being the bad guy, except when he wanted to stay in her good graces. It doesn’t seem like the best pairing to push toward an impressionable young audience. One of the standouts of the classic Disney Channel era is Phil of the Future. The series focused on Phil, a teenage boy, and his family, who got stuck in the past after taking a vacation from the future. The Duffys had to learn to fit in. The only one who knew their secret was Phil’s friend Keely. It was obvious from the early days of the show that the two had serious chemistry. The writers, however, allowed their feelings to grow in the background as an organic part of the storytelling. It wasn’t until the end of the series that the duo finally got together, making a legion of tweens happy. They were a will-they-won’t-they couple for the tween set. It was clear that Ross Lynch and Laura Marano had great chemistry from the moment they first appeared on screen as extroverted singer Austin and shy song writer Ally. The problem certainly wasn’t in their chemistry, but in the constant back and forth of the storylines. Austin and Ally made for a great songwriting team and better friends. In fact, Austin helping Ally get over her stage fright was one of the best aspects of the series. When so much of the focus became about whether or not the two should be a couple, friends, or writing partners, the show began to lose its focus. Raven had a few love interests throughout the run of her self-titled series. None made more of a splash with fans than Devon. No matter how many people went in and out of Raven’s life, it seemed like she and Devon were destined to end up together. 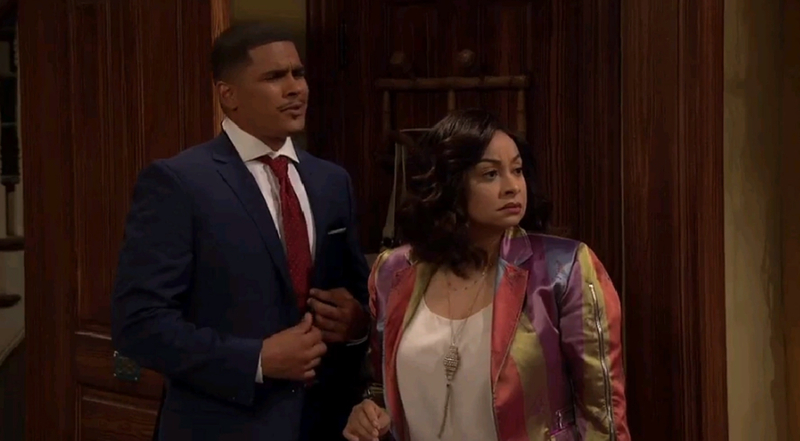 In fact, Raven fans might have been excited to see where the two ended up in the sequel series Raven’s Home. Unfortunately, the two didn’t last, divorcing before the start of the series. Fans can still love the pairing: Without their coupling (and divorcing), the premise for the new series wouldn’t even exist! The two also continued to maintain a healthy friendship. The fun of an animated series like Phineas and Ferb came from the wacky adventures of the brothers. While both had love interests in the show, romance wasn’t a focal point for the youngsters. The same couldn’t be said for their older sister Candace. Her storylines involved two things: her crush on Jeremy and her attempts to sabotage her brothers. Candace and Jeremy were not a bad pairing by any means. 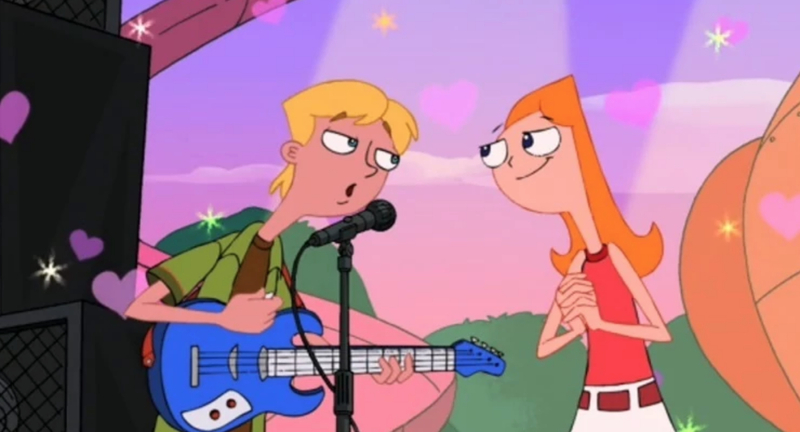 Instead, the detriment to the show came because Candace’s storylines revolving around her crush usually took up precious time that could have been devoted to more crazy adventures and inventions from the two main characters. One through-line in the recent Disney Channel series Andi Mack is the title character’s crush on Jonah, a boy at her school. Often part of her daily musings, it’s not a focal point of the series until the two decide to become a couple. Unlike a lot of the other shows on this list though, Andi and Jonah didn’t last. Despite the two having feelings for one another, they realized a relationship wasn’t really working out. In one of the most mature conversations for a couple of Disney teens, the two decided they were better off as friends - and actually followed through, remaining friends while dating other people. After a run of Disney Channel series about magical beings, pop-stars, and people seeking stardom, the network went back to its roots with this sitcom. Teddy frequently provided the point of view as she wished her baby sister, “Good Luck, Charlie.” Because of that, a little bit of high school drama seeped into the sitcom, including her on-again, off-again romance with Spencer. Spencer was actually a fan favorite for much of the show, but he broke the cardinal rule of good tv boyfriends: he cheated on the main character. He and Teddy parted ways, but got back together a few times over the run. It’s hard to root for the guy who cheated. Two characters who never quite felt like they fit in found a place to belong with each other in Girl Meets World. 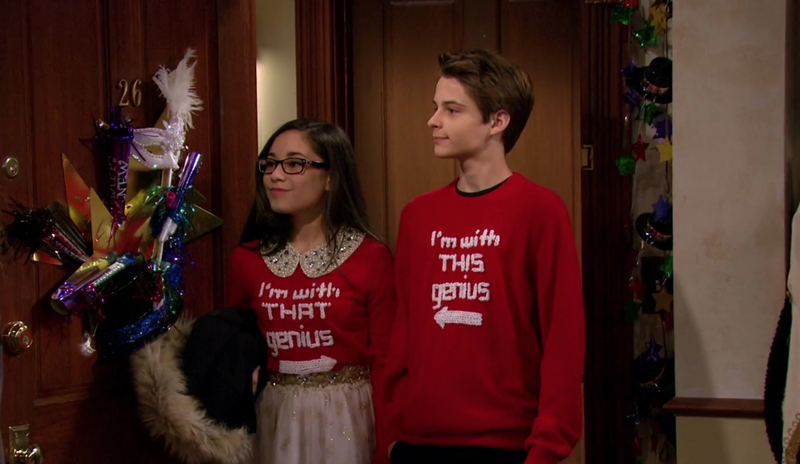 Farkle Minkus and Isadora Smackle each had a reputation for being “different.” Isadora found herself drawn to her academic rival, Farkle, because she thought they were different in the same way. Diagnosed with Asperger’s Syndrome at a young age, Isadora found it difficult to connect with people emotionally and was uncomfortable with physical affection. Through her relationship with Farkle, and joining his friend group, she learned more about understanding her own emotions. The duo provided a unique form of representation in media that didn’t conform to the standard “nerd” tropes. Created as an acting vehicle for the Jonas Brothers, J.O.N.A.S. became J.O.N.A.S. LA in its later episodes. The show featured a trio of musician brothers and their two female friends who got jobs working for them. When the show stuck to storylines around its core five, it excelled. When it created obstacles out of guest starring love interests, not so much. Vanessa entered the series after Joe had already dated his childhood best friend Stella. The two still had feelings for one another, but were barely speaking. The awkwardness created an interesting enough dynamic without forcing new love interests into the mix as well. 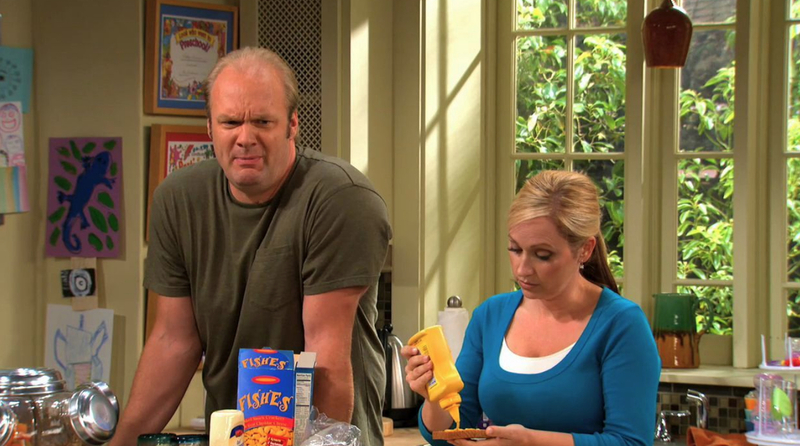 The Duncan family parents certainly have their hands full over the course of Good Luck Charlie. Opening with the premise of a new baby in the house, the show also ends with a new baby in the house, as well as two adult children leaving. Bob And Amy Duncan certainly have their share of failed parenting attempts, and sure, there’s plenty of bickering to go around. Unlike a lot of the series on the Disney Channel, though, there’s never the feeling that these two are mismatched as parents, or as a loving couple. They raise their kids on equal footing with plenty of love and laughs to go around. A.N.T. Farm took the idea of sticking a bunch of child prodigies into the same high school - even if they were much younger than their classmates and excelled in different programs. Amongst those ANTs were Fletcher and Oliver, two long time friends who almost always took opposing sides in an argument. Their bickering was entertaining, and their eventual path to a relationship provided good story fodder. Unfortunately, they hurt their show for one reason: Olive was always so incredibly violent. Her go-to response when disagreeing with Fletcher was more often physical than a debate. That dynamic can’t possibly be healthy. Vampires and wizards weren’t enough for the Disney Channel sitcom Wizards of Waverly Place. In its later seasons, the show also introduced werewolves to its audience. Alex began a relationship with teen werewolf Mason. Much like Justin and Juliet’s relationship, the storyline served to provide a new twist on the idea of people from two different worlds falling for one another. The audience also got a lesson in not judging a book by its cover, and some highly entertaining new schemes from Alex. It was a much improved relationship compared to those of Alex’s past. Dove Cameron made her Disney Channel debut playing the twin title characters in Liv and Maddie. The two couldn’t be more different. Surprisingly, it wasn’t the glamorous Liv who wound up with the majority of love interests in the series, but instead, the athletic Maddie. Maddie had a long time crush on her friend Diggie early in the show. What started off as a promising pairing devolved into petty jealousy and competition. It didn’t help that the fictional couple was overshadowed by the real thing when Dove Cameron dated Ryan McCartan (Diggie) in real life. 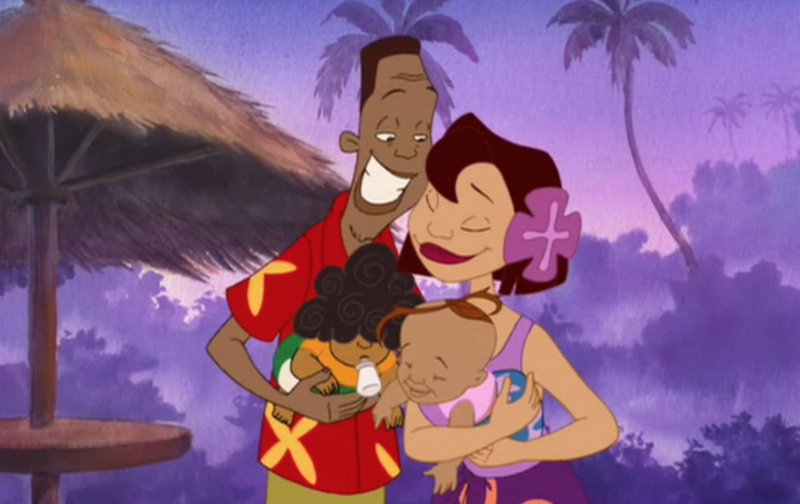 The Proud Family is a much beloved animated property for the Disney Channel. The network even aired a movie for it. In it, Penny Proud takes the lead, but it’s her parents, Oscar and Trudy, who make our list. Oscar is a bit overbearing sometimes, but Trudy stays as cool as a cucumber, no matter the situation. The two manage to balance one another out in a household that involves numerous kids, parents, pets, and friends running in and out. As a bonus, though Oscar owned his own company, no one seemed to like his products. Trudy was the real breadwinner of the family, something not seen a lot in children’s TV at the time. When the audience first met Brett in the teen spy series K.C. Undercover, they wanted to root for him. A little cocky, but someone who could keep K.C. on her toes, he was a fun character to watch. It’s the big twist that ruins the coupling. Brett, as it turned out, wasn’t one of the good guys. A member of a rival spy group, he deliberately manipulated K.C. and her friends every chance he got. Just because he saved her a time or two doesn’t mean we forgive him. He’s firmly an enemy, and the show continuing to try to pair them off as it went on just didn’t work. With the Hannah Montana series primarily set during the main character’s high school years, dating became a regular part of the show. Like many Disney Channel shows before it, the series paired up two of its three best friends. In this case though, Lilly and Oliver dating seemed like a natural progression of their relationship. They bickered in their younger years, but never outright abused one another, and always supported one another’s dreams. The two were also friends even longer than they actually knew Miley or her Hannah Montana secret. Those two have some serious staying power. Jessie centered its story on an aspiring actress taking on a nanny job to make ends meet. Over the course of her new job, she had a lot of adventures, but only a few in love. One of those saw her end up in a wedding dress. Though Jessie spent quite a bit of time in a relationship with Tony the doorman it was a young man named Brooks who got her to walk down the aisle. From a wealthy family, Brooks spent his time wining and dining Jessie to make her feel special. The two had completely different goals in life and weren’t compatible, making their arc nothing more than an obstacle to her dreams. The original friends to partners pairing on the Disney Channel, Lizzie and Gordo didn’t actually get together on the network. While Gordo’s crush was hinted throughout the series, Lizzie didn’t find out how he really felt about her until the end of the show. Their relationship progressed organically as they went from middle to high school, but fans got to see more of them in The Lizzie McGuire Movie. In the film, Gordo spent time pining over Lizzie while helping her lead a double life. It took Lizzie a trip to Italy, a double crossing pop star, and a huge concert to realize she felt the same. 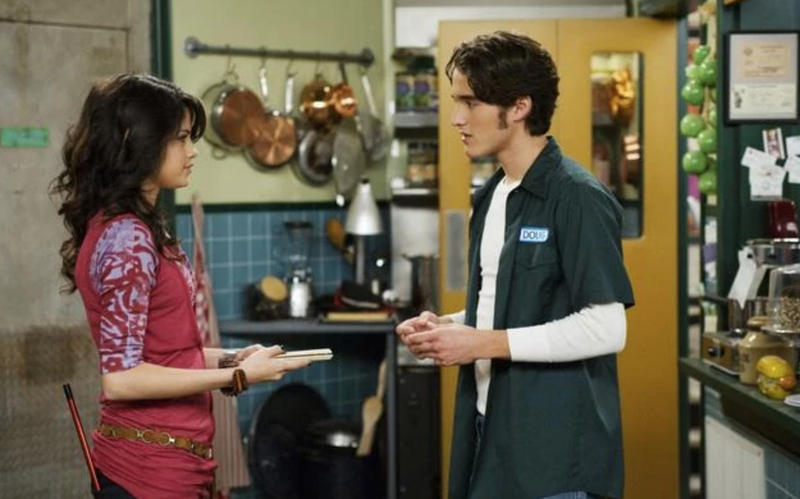 As the show went through the teen years of the Russo kids, there were quite a few different relationships spotlighted on Wizards of Waverly Place. One of the first was Alex’s crush on Dean. Dean was more experienced than Alex, making her hesitate to enter a relationship with him even though she liked him. Their relationship was a lot of Alex being unsure of her decisions and deferring to Dean. After moving away, Dean inexplicably reappeared in the storyline because he wanted Alex back - even though she moved on. It was a dash of unneeded drama in the series when he returned. A devoted legion of fans found themselves tired of the love triangle of Girl Meets World when it reached season three. 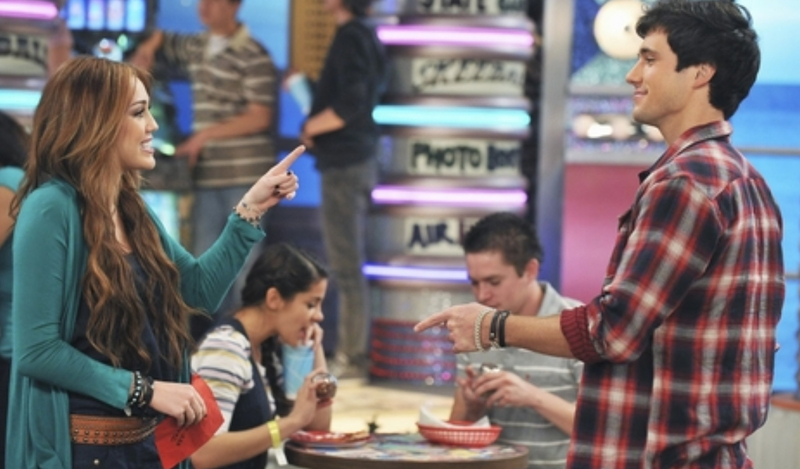 Fans were split as to whether Maya or Riley would end up with Lucas. 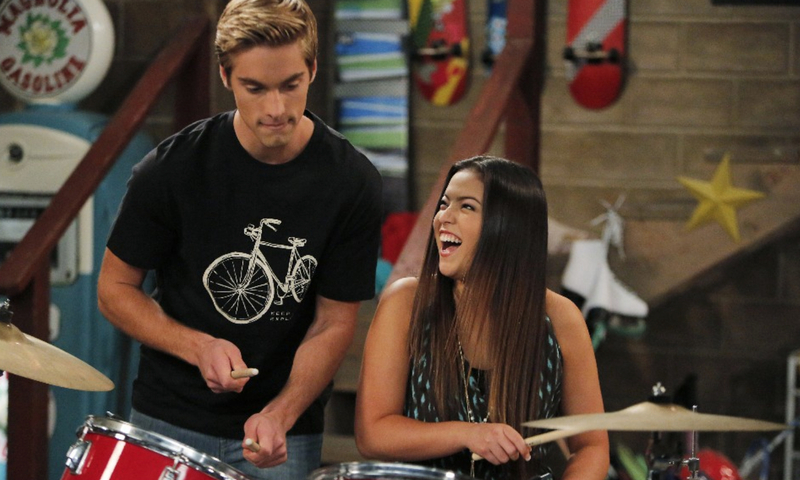 We have to argue that Maya and Lucas actually made the more compelling couple for the show. It’s Maya’s interest in Lucas that allows his backstory to be fleshed out. Maya and Lucas also help one another embrace their flaws while still working toward becoming more understanding people. Their quips and “little game” made the show infinitely more entertaining. Lucas and Maya ending up together would have been a twist on the old Boy Meets World parallels the series enjoyed. Do you have a favorite Disney Channel couple? Is there one you think the network’s shows could have done without? Let us know in the comments.